Precautions to take while offering flowers to Hindu Gods ? Offering flowers to Gods is a crucial part of performing Hindu rituals. Offering flowers to the good lord is a practice that is followed by people of almost all religious beliefs after all flower signify something so pure, natural and fresh. We have already discussed in one of our articles the flowers and parts of a plant that are dear to different Gods and which flower should be offered to which deity. But that’s not all while performing any holy rituals one has to be very particular about the ways of performing them as well. If precautions aren’t taken care of, it is believed that your worship may not fulfill and might not bear the fruit you are expecting out of it. Here are some precautions to take while offering flowers to Hindu God. Before you pluck any flower make sure that you pray and request the particular plant to let you pluck a part of it. We should chant the name of the God we are planning to offer the flowers while plucking them. We should make sure that we do not use our left hand while offering a flower to the good lord. The flowers that are to be used shall not be touched to the ground. They shouldn’t be eaten by insects either. They should be fresh and never be washed in water. However, if you want to clean and purify them you can simply sprinkle holy water like that of River Ganges i.e. Ganagajal or water from other sources. They can now be offered to the deity. Many Gods and Goddesses are offered red Hibiscus flower, it is because it emits positive energy from its petals. 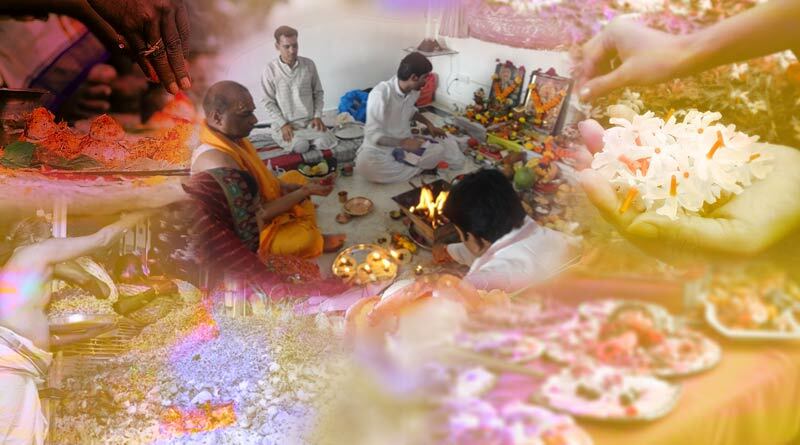 The energy released can also be called as ‘Pranashakti’ which means positive life-energy. The flower buds except for lotus shall not be offered to Gods. The flowers should not be wrapped or touched with leaves of ‘arka’ plants. One should never pluck flowers or any other parts of a plant that is to be offered to Gods without having a bath. Even if you have to do so in any case, make sure you do not touch the flower and make sure to place a set of leaves on your palm or use a clean utensil to collect flowers. Holding them in hand for a long time can also ruin them, therefore, it should be avoided. One should never pluck flowers or pray with his footwear on, according to the Vedic Hindu religion, especially when you are inside a temple. We hope these precautions to take while offering flowers to Hindu Gods will help make better your worship and meditation sessions in the future.